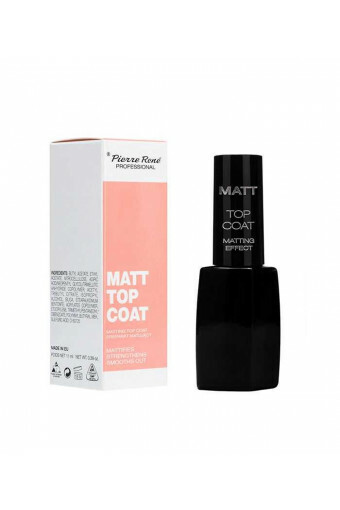 The top coat gives a matt effect and makes the manicure last longer. It gives velvety, matt finish to colourful nail enamels and hybrid polishes. It forms a hard, chip-resistant coating. When used directly on clean nails, it smooths out the nail, hardens it and prevents it from breaking. How to use: apply one/two layers of the preparation directly on the nail plate or on nail polish.